Would you like to add to your collection of coffee recipes? 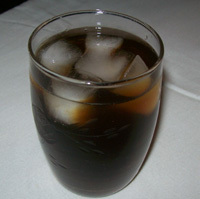 You may love to make Iced Coffee or Flavored Coffee or may be filtered or drip coffee . 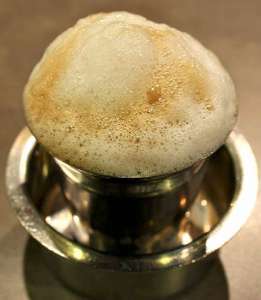 If you are a regular coffee drinker, you definitely have your favorite way of drinking coffee. It is almost a ritual to make and drink coffee for you. You are particular about the quantity of coffee powder, the coffee maker, the amount of water, the temperature of water, the time you brew it etc. You may like your coffee black or with milk or with cream. You may drink it strong or weak, Very hot or lukewarm. I am sure you also have a favorite cup or a mug that you want to drink your coffee in. And then the place you sit and drink your morning cup of coffee. The everyday act of drinking coffee is so personal. Isn't it? But at the same time, it is nice to have a change once in a while. You will find a few recipes for coffee in this section. You may be used to drinking coffee in a certain way everyday. Once in a while you may like to try out a different recipe given here. Some people do not like to try out different ways of doing things. They do not know the fun in doing this. I hope you are not one of such people. Try out these different recipes for coffee. I am sure you will enjoy them. You may have had these recipes in a friend's place and wondered how they were made. Here is how you make it.